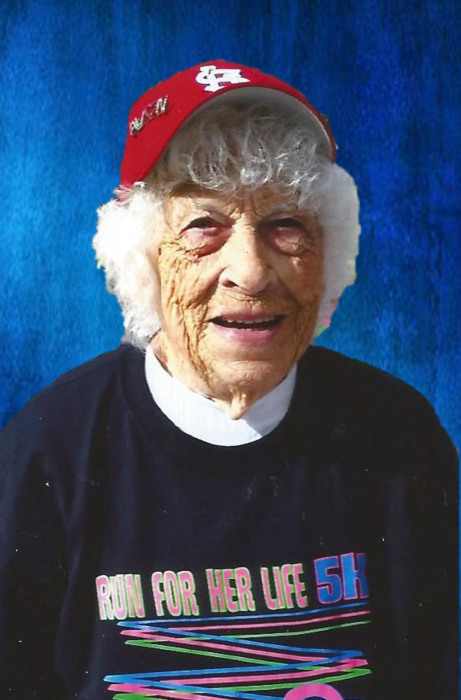 Jo Mobley, 96, of Waller, TX formerly of Clark, died November 21, 2018. She was born January 22, 1922 in Cairo, MO to Floyd and Hattie (Wright) Woodruff. Jo married Clarence Mobley on May 17, 1943 in Moberly and he preceded her in death in April 22, 1995. Also preceding her in death were five brothers; Raymond, Paul, Harold, Frank and Carroll Woodruff and four sisters; Helen Clark, Ruth McBride, Hazel Basnett and Katherine Patterson. Survivors include her children, a daughter, Pat Henderson of Waller, TX and a son, Leon Mobley of Polo, MO, three grandchildren; Kelly Colley, Trey Henderson and Brad Mobley, seven great-grandchildren, two great-great-grandchildren, a sister- in- law, Mary Woodruff of Sturgeon, MO, nieces, nephews, other relatives and friends. She was a very successful Avon representative for 73 years winning numerous awards and prizes. Visiting with her clients, whether in person or by phone, was always a highlight for her. Jo was a member of the Clark Christian Church and the Clark Order of the Eastern Star. She had a great ability for raising funds for various causes including her church, Eastern Star, Masons and cancer research plus others. She was a volunteer at the VA hospital in Columbia for over 20 years. She also volunteered at various food banks in the Moberly area. Memorial contributions may be made to the Clark Christian Church or Jacksonville Order of Eastern Star. Services honoring and celebrating Jo’s life with Order of the Eastern Star service were held at the Cater Funeral Home Chapel. Committal prayers and burial followed in the Memorial Park Cemetery.